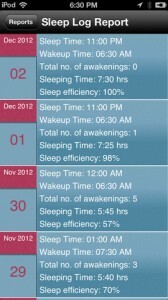 MobileSleepDoc is an iPhone app that helps people improve the quality of their sleep (official site here.) This free app is targeted towards people suffering from poor sleep patterns. 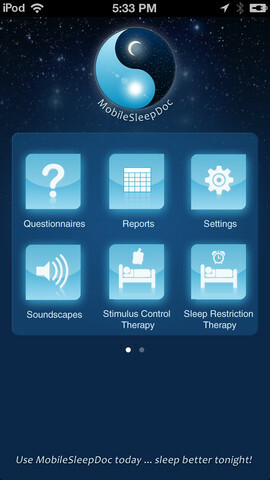 MobileSleepDoc is the first available sleep diagnosis and therapy application created by a sleep specialist, and it is targeted at both people who can’t get a good night’s sleep, as well as their doctors. 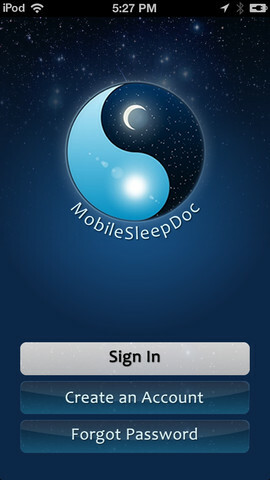 MobileSleepDoc also assists busy doctors by facilitating the management of their patients suffering from sleep problems by providing ways for patients to track their symptoms on a graph. 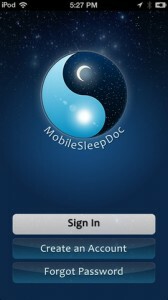 One thing that will turn some users off straight away is the fact that you must create an account before you can even start using the MobileSleepDoc app. It is kind of annoying that you can’t play around with the app without an account: most people I know prefer apps that let users actually USE them to see if they want to give over their email info. At least the sign-up process is pretty quick. MobileSleepDoc lets users track the time they fall asleep, when they wake up, and how many times they wake up in the night. 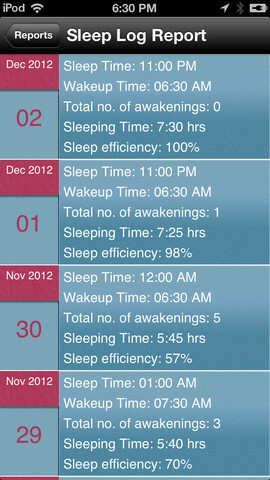 Users can also track their “sleep efficiency”: a metric for the overall quality of a night’s sleep. You can then view this info in a list, or as a graph. There are also questionnaires that can help users figure out what’s keeping them up at night, as well as soothing soundscapes that can make falling asleep much easier, especially in loud or stressful environments. 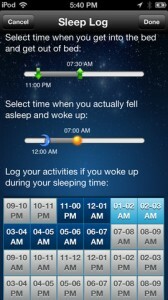 If you can’t sleep at night, there’s no reason not to check out this free app. 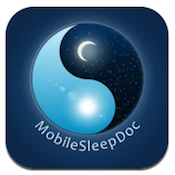 If everything else has failed you, MobileSleepDoc can be a great app to help you sleep, and also to facilitate meetings with your doctor. MobileSleepDocis compatible with iPhone 3GS, iPhone 4, iPhone 4S, iPhone 5, iPod touch (3rd generation), iPod touch (4th generation), iPod touch (5th generation) and iPad. Requires iOS 4.0 or later. This app is optimized for iPhone 5.